My name is Shoshi Herscu and my book Mass Awakening is a full disclosure of the great awakening globally, the secret space programs, the Cabal’s dark agenda, and the global currency reset or the RV. Recently there has been so much news about the Global Currency Reset (GCR/RV) being imminent which is really exciting news for anyone who follows the news about it for years. Perhaps it may happen this year. GCR stands for Global Currency Reset or RV that is about the revaluation of currencies. What Is the QFS and How Is It Different from the Current Financial System? QFS stands for Quantum Financial System and according to Galactic Connection site, it’s an off-world monetary system which cannot be rigged, in contrast with the current financial system. As it cannot be compromised – despite the many attempts to do so by the cabal – the cabal’s corrupt central banking will collapse. The cabal will have no access to this system. This system will allow the transfer of the new asset-backed currencies after the Global Currency Reset which will replace the US-controlled Swift system with all its ills of usury and manipulation. The novelty about this system is that benevolent extraterrestrial Galactics provided the Alliance with this system which does not run on a conventional computer, but a quantum computer placed on a satellite. It is protected by SSPs to prevent it from being hacked. “the activation of the QFS, the Galactic Alliance will completely destroy the Central Banking System that has been designed to destroy the world economy and put the world population into perpetual debt slavery.” This will be the path to humanity’s liberation from this kind of slavery. This new financial system has been active simultaneously with the central banking system for more than a year. The Cabal attempted to hack this system multiple times to steal funds but were stopped in their tracks. Those bankers who attempted to steal funds from this system and transfer them illegally were caught red-handed and have consequently been arrested. The activation of the QFS will lead to the Cabal’s demise. They try to prevent its implementation but our victory is near and they are about to lose the battle. This system was not a 3D creation. It is considered to be alive Quantum benevolent Artificial Intelligence which comes with a ‘recognition system’ which is able to replace conscious humans and interact “with each financial transaction to ensure that it is transparent, legal, and owner-intended to prevent it from being compromised. It is not the Cabal’s AI which is malevolent and I’ve even watched a video with a robot declaring it wants to kill humans. As only gold or asset-backed currencies will be able to be transferred in the QFS, it will eliminate Cabal’s the central banking and fiat money (or “monopoly money” as some call it). It doesn’t mean that if you have the current currencies you’ll lose your money. 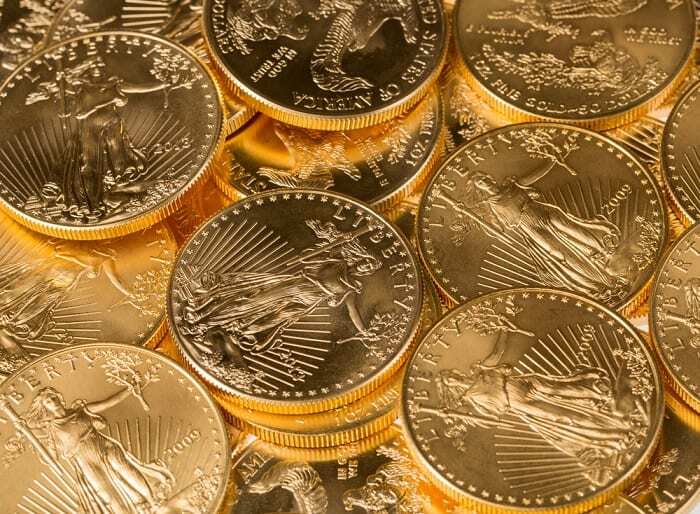 If you’re doing legal business, your money will be exchanged for gold-backed currencies. Only GESARA-compliant countries can participate in the QFS. The currency of these countries needs to be gold-backed in this financial system. This is the reason why each country needs to use this particular formula to enable the QFS to function as planned. And this is why each country needs to be GESARA compliant to use the QFS. GESARA stands for “Global Economic Security and Reform Act”. GESARA Help provides an explanation about this act that it “is a global prosperity program on the verge of being announced and activated.” This program is connected to the Global Currency Reset in which the currencies of countries need to be backed by assets, including precious metals and revaluated according to a specific formula. GESARA is designed to benefit all the world population as well as earth. Finally, we’ll be financially liberated, be free and experience abundance. According to Rev. Dennis Shipman, October 10, 2017, all 209 sovereign nations of the world voted to implement the GESARA act as they signed Climate Change 2015 Paris Agreement according to Era of Light blog. To understand the implications of this act in the U.S. alone: abolish the (private) Federal Reserve Bank and the IRS, dismantle the deep state- the USA Inc. shadow government. What Is the NESARA Act? NESARA stands for National Economic Security and Reformation Act which was supposed to be implemented within the U.S. and designed for the Republic of America. However, as it was merged into the GESARA act, there is no need for NESARA as a separate treaty for the U.S. anymore. According to High Density Blog, GESARA Act was secretly embedded in the revised Paris agreement Trump signed the revised Paris agreement in 2017 that made NESARA redundant. GESARA act heralds an age that humanity wished for millennia: prosperity for all worldwide, no poverty, no homelessness, no hunger, no debt and global peace. The new technologies, including free energy, are part of the RV/GESARA/GCR and will be released to humanity. These technologies are not new technologies; but they have been suppressed for millions of years by the cabal. These technologies will enable us to make the deserts green, clean the earth, oceans and air, as well as produce food in abundance with replicators and anything that is required for everyone on earth to be fed and sheltered. Super-advanced healing technologies will also be released soon after the GCR which will help make people healthy instead of the current fake ‘health’ system making people sick these technologies will allow to regrow organs or limbs as Randy Cramer mentioned these technologies that saved his life. These machines are already being built. All of the technologies coming will work with Gaia not against her. Removing the impact we have caused to the animal kingdom and Gaia’s resources”. 1) “The global and public proclamation of a global jubilee or debt forgiveness, and universal reset of planetary earth/humanity back to a universal system of common governance in transparent good standing with other member beings of the Galactic Federation. As you’ve seen, I mention the mass awakening or great shift in human consciousness which is our ascension in my videos and articles. We ascend to a higher level of awareness, as well as earth that is also ascending. We are to become free again as we have been almost totally enslaved by the Cabal that continues to push toward our enslavement and control by accelerating the 5G rollout, forced vaccines, GMOs and other means of control and depopulation. They almost succeeded and they still attempt to reverse the tide. However, as I’ve mentioned in my videos and posts, the shift in consciousness cannot be undone. The great awakening cannot be stopped as well as our liberation. When Is the Reset/RV Expected to Happen? We who follow the updates on the GESARA act for years might be skeptical if it’s going to happen at all, as we expect this treaty to be implemented for years. However, this time it seems that it may be imminent. It feels like everything is ready behind the scenes, including the QFS, most of the countries are already GESARA-compliant according to various sources, military tribunals have already started since January 2019, although we haven’t seen the mass arrests yet. So this time it might be possible that the GCR/RV/GESARA rollout is imminent. I would love to read your thoughts about this. “April 1: The transition into the new Quantum Financial System. August 1: All countries were expected to be GESARA compliant by Aug. 1 2019. Some say the new global asset-backed currency system would be announced on Aug. 1 and put in force Jan. 1 2020. So what is holding the GCR from happening? According to Patriot Intel Report below, everything is ready for the trigger event of the GCR. So when is it going to happen? He says that when the Muller’s report comes out and President Trump is exonerated. Then I have great news for all of us from March 22, 2019 that Muller’s investigation is done and there will be no more indictments. So it appears that we are approaching the GCR soon.